It was the best of times and the worst of times at the Professional Bowlers Association Tournament of Champions in Las Vegas, Nevada. Well, nearly the best of times. In a staggering contrast at Las Vegas’s Red Rock Lanes, there were two amazing incidents. Mika Koivuniemi rolled a 299, one pin away from a perfect game, while Tom Daugherty rolled a 100, the worst televised bowling score EVER. The previous lowest score ever televised was 129, rolled by Steve Jaros in 1992. 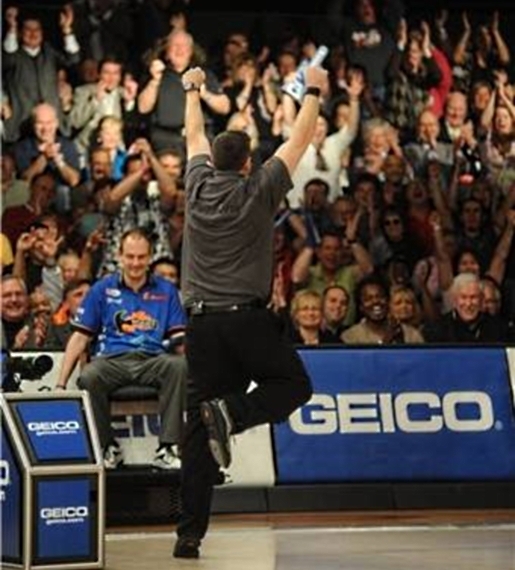 Daugherty, making his television debut as a member of the PBA, left a staggering seven splits during his game. In contrast, Koivuniemi left the a single wobbly pin in the tenth frame to lose his perfect game. Still, Daugherty’s nerves have to be salved by the fact that he ended up in third place and won $50,000 for his horrible effort. Champion Koivuniemi took home $350,000 after beating Tom Smallwood 269-207 in the finals; Smallwood took home $100,000 for his second place finish. Last year’s Tournament of Champions was won by Kelly Kulick, the first female winner of a PBA event.